Business Confidence is Up as we Head for Another Record Year – And We’re Recruiting! As the nights are drawing in and the days getting colder, it’s time to reflect on another successful year at LCM Systems. Although we have seen year on year growth for the past few years of around 30%, it is this year that we have felt business confidence improve in all areas of the business. Have you been witnessing the same thing? So much so, that we have had to taken on new employees in production, design and marketing ! I will introduce you to our new people in the next blog entry. However, our team is still not complete. We are currently looking for a Sales Administrator to work here at our HQ in Newport, Isle of Wight. All details are here on our website. SO, if you are looking for an interesting role in a fast growing company, then please apply. Closing date for applications is Monday 21st October 2013. We also have some exciting news about faster delivery and a reduction in some load cell prices – keep coming back for more information soon! As I’ve mentioned a few times, we successfully sell our load cells and associated products throughout the world for a huge variety of industrial applications. Our website is, of course, open 24/7 and we are well-placed in the search engines, so many international organisations find us on the internet and we manage our business over the phone and via e-mail. This works very well and email is often a good way to overcome the language barrier. However, sometimes you just need someone ‘on the ground’. In certain countries we are aware that engineers are more open to talking to companies who have a physical presence and can attend meetings to discuss particular applications. So, we are looking to expand our distributor network. BUT (there always is one, isn’t there?) they need to match our stringent criteria. We are increasingly proud of our global reputation for excellent products, application knowledge and first-class customer service and we need any potential distributors to uphold this when they represent us. If you think that you can match our checklist, then please e-mail me at info@lcmsystems.com putting ‘Distributor Request’ in the Subject line. Should We Be at Exhibitions? I talked quite a bit last year about how people find the LCM Systems load technology website, asking what words were used – did you search wireless or telemetry? did you go straight to Google or another online search engine?, maybe you went straight to an online directory? The answers were interesting and have given us some great guidelines on how you would like us to improve our marketing to help make your buying easier. I have also been pondering whether we are missing a trick by not going to exhibitions. Do many people go to exhibitions these days? It does seem like a lot of hassle and expense, when you can show all the information on your website. 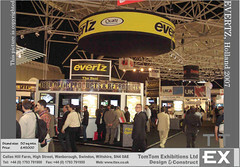 In the UK in 2011, there are a number of exhibitions where a company like ourselves will fit in very well. Tomorrow sees the opening of the Southern Manufacturing & Electronics Exhibition. The literature boasts 600 companies are exhibiting and it will be the largest engineering show in the UK in 2011. But I chose not to go. I am not convinced that UK shows give value for money for a company such as LCM Systems, especially when not spending money on exhibitions helps us keep our prices down and leaves us more marketing budget to invest in our website. However, I would hate to be missing out on the opportunity to meet my customers face to face – if that’s what you want. So, do you feel exhbitions have a place and would you have expected to see LCM Systems at the show? Over the years weâ€™ve tried the whole gamut of marketing techniques in order to promote the products and services offered by LCM Systems. It doesnâ€™t seem that long ago when we were amazed at how quickly and efficiently our brochure and datasheets could be produced on the computer and we didnâ€™t have to have films produced to send to the printers! How life moves on. Over the past few years we have been delighted with the way our website has been working to provide us with good quality leads that have resulted in significant business throughout the world. The internet has made a significant difference to the way we interact with our customers and we are keen to embrace the latest marketing techniques to help our customers and potential customers find out about what we have to offer in a way that best suits them. But is this unusual in the engineering sector? What about the new technologies? How many of you are on Twitter or LinkedIn? 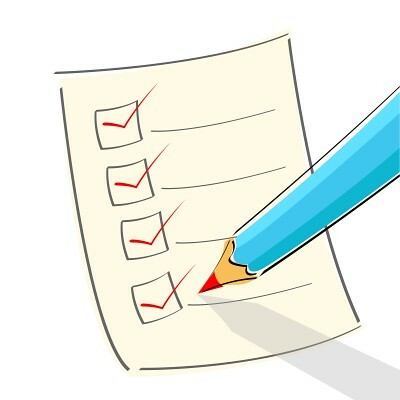 We have set up an account on Twitter and are gradually building up our lists of followers. Please join us by clicking on the link. We update with information about special offers on our load cells, but also will retweet any information that may be useful to any of our target markets. So, by simply setting up a Twitter account you can get relevant industry information directly to your inbox, without long cumbersome internet searches. We will also follow you back, so we can start dialogue and exchange information. You can also find me on LinkedIn and information about LCM Systems itself. On LinkedIn there are many corporate contacts and specialist groups in the engineering sector that can help you with any particular problems and give you valuable insight into the industry. So, whatâ€™s next? Well, we are looking into the possibility of mobile marketing/messaging and are really interested in what people think about having marketing messages sent to their mobile phones. This means that the usual marketing techniques are out of the window. So, what if we could send them information direct to their mobiles? 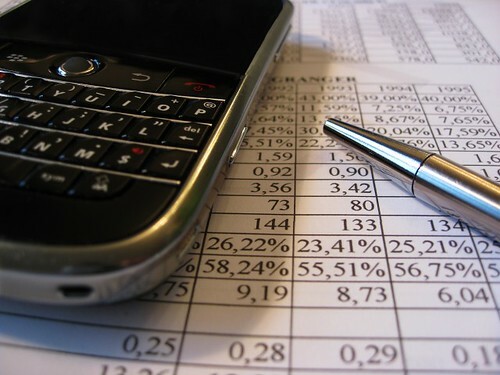 Would you be interested in receiving business marketing information on your mobile phone? Please leave your comments here or even better, please fill out our survey on Survey Monkey. Weâ€™ll release the results in a few months. Thanks for your time.